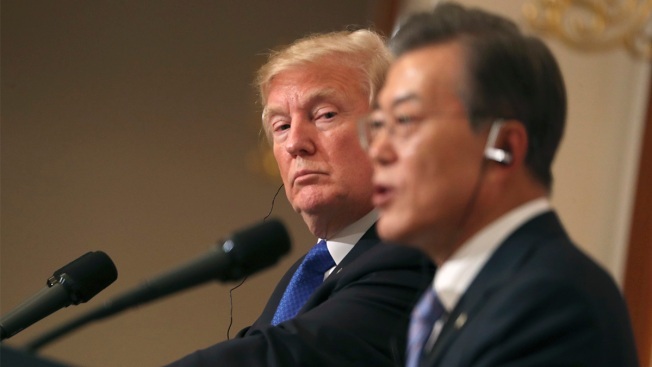 President Donald Trump, left, listens to South Korean President Moon Jae-in during a joint news conference at the Blue House in Seoul, South Korea, Tuesday, Nov. 7, 2017. The Trump administration said Tuesday it has widened U.S. access to South Korea's car market while providing American manufacturers protection from South Korean imports. South Korea escapes America's new 25 percent tariff on imported steel — but must accept quotas on steel exports equal to 70 percent of its average annual shipments to the United States between 2015 and 2017. The U.S. Treasury Department is also in talks on a deal to prevent Seoul from deliberately pushing its currency lower to give South Korean exporters a competitive advantage. A formal agreement on currency would be unprecedented — but it wouldn't have teeth, because it would include no enforcement mechanism. 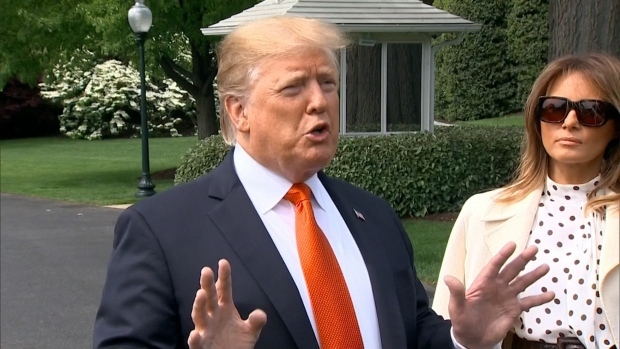 Trump's complaints about South Korean trade practices have caused friction between the two allies at a crucial time, as he prepares for a meeting with North Korea's reclusive leader, Kim Jong Un. Unions at South Korea's two-largest automakers, Hyundai Motor Co. and Kia Motors Corp., have already blasted the new agreement for blocking access to the fast-growing U.S. pickup truck market. "It is a humiliating deal that accepts Trump's strategy to preemptively block South Korean pickup trucks," Hyundai Motor Company's labor union said in a statement.